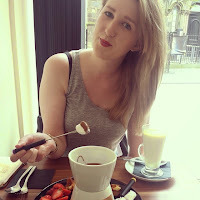 You may have noticed my lack of blog posts the last couple of months, and thought I had forgot about my little space on the internet. The truth is that life just got in the way, work is hectic and up until yesterday I was living in my friends spare room hunting constantly for a flat of my own. Finally, everything has seemed to calm down and I am back and I moved into my new flat yesterday. I have missed blogging and almost got round to typing up a few posts but time got the better of me. As I have been saving for a flat, I had to limit my spending but I couldn't help treating myself to some new foundation. A girl needs a pick me up and there is nothing that makes a girl smile quite like Chanel. I had heard a lot about the Chanel Perfection Lumière Velvet Foundation from all of my favourite beauty bloggers and was intrigued by its liquid to powder formula. I was in a foundation/base rut until recently and could not find a good foundation that would sit upon my oily skin without oxidising hours later. This stuff is literally perfection. It is a dream to apply and feels silky on the skin. There is no need to apply a powder and I find it stays around all day. The packaging is sleek and beautiful and I think this will soon become a Holy Grail product. This would not be a Georgina Sparkles beauty post without a mention about a Lush product I am loving. The It's Raining Men shower gel is the most sweet and moisturising shower gel I have ever used. This honey and rosehip shower gel smells exactly like fresh honey and has a thick conditioning texture that is super softening on the skin. I am on my second bottle of this and will be repurchasing another when I am done with this one. I have found an amazing brow product that has banished all my other brow products back to the makeup stash. When browsing (see what I did there) the Soap and Glory counter at Boots, I decided to check out their brow pencils and I picked up their Archery 2 in 1 Brow Filling Pencil and Brush. I have the shade Blonde Shell which gives my eyebrows a more natural finish than the light brunette pencils I am used to. I actually look forward to doing my eyebrows with Archery, as I used to think of filling in my brows as a chore. Another Lush favourite comes from their recent Christmas launch and it is their So White Bath Bomb. It is a beautiful all white ballistic that smells of crisp apples. When popped in the bath, you discover the centre is pink and has a Rose scent. This one is inspired by Snow White with skin as white as snow and lips as red as a red rose, she is poisoned by an apple presented to her by the Evil Queen in disguise. This scent is also available in a shower gel for those who do not have a bath. 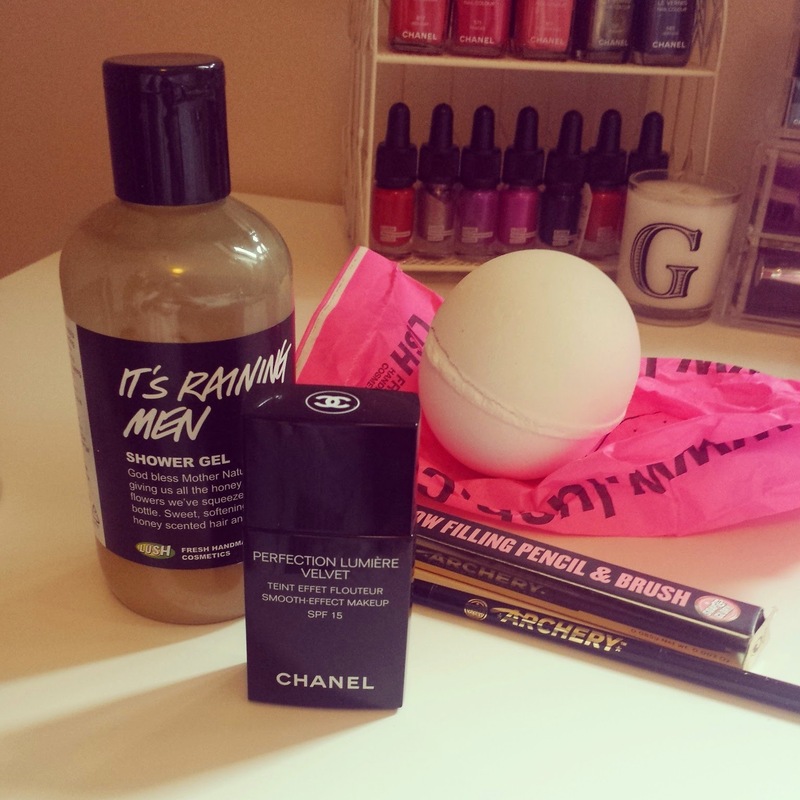 As for non-beauty favourites, I need to mention a few of my most loved items at the minute. 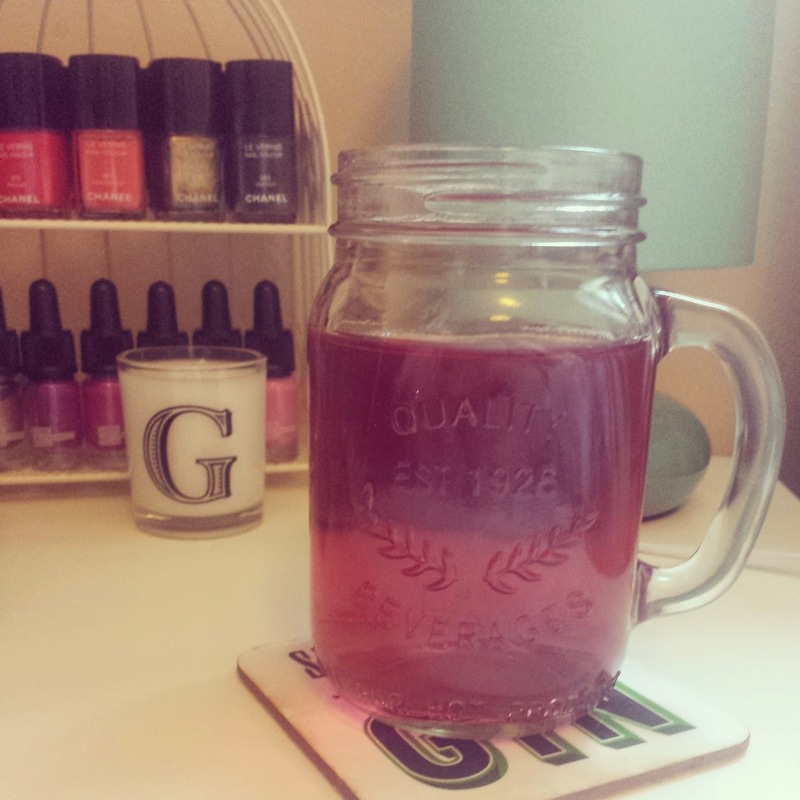 I picked up these mason jar cups from John Lewis for my new flat and I love them. They are quaint and quirky and I have been loving drinking my juice from them. I have been loving the blanket scarf trend that has hit the high street and it is great for layering over wooly jumpers. My monochrome checked print scarf is from Primark and was a total bargain of £6. So those are my current most loved items, what are yours?